The German manufacturer of the Thermal-Copier models requires NEHOC Australia P/L stop supply of their models to the tattoo market and supply only screen printing versions of the machines in Australia for screen printing applications. Please do not contact NEHOC Australia for any further tattoo machines, all contact must be direct to Germany by e-mail to tattoo@pdpm.de for all tattoo machine supply and support. NEHOC Australia continue to support all active warranties up to the expiry of the original 12 month period. Spare parts and service for machines remains available. 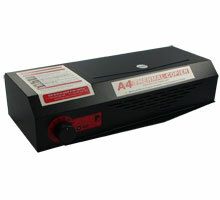 - All machines serviced outside warranty will be charged standard service rates. - Any machines supplied by NEHOC Australia where warranty has expired and requires service/ repair under a 'manufacturing or construction fault' must be returned to the manufacturer in Germany. Validated warranties will continue to be serviced by NEHOC Australia. Both Budget and Teflon Thermal Carriers remain in production and a stocked item along with Tattoo Spirit Papers. 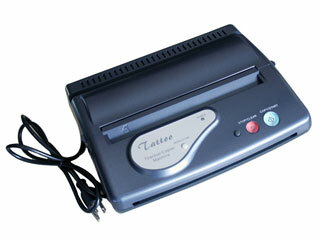 These items are not supplied by the German company and are not affected by the discontinuation of the tattoo machines. For details on the A4 Thermal-Copier Screen Printing model - click here . .
Don't get caught with a cheap imitation - that doesn't work!! BEWARE - these are rebadged fax machines NOT Thermal-Copiers. Don't get stung on eBay and end up with an expensive paper weight, they do not work to image tattoo stencil papers. The imaging principle used in these models does not generate enough heat and the images are faint/ patchy at best. We wasted over 50 sheets and did not get one usable image. 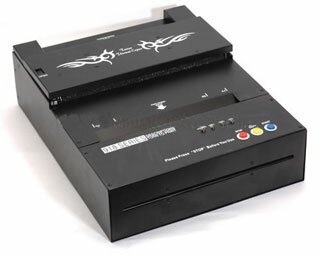 There are numerous Chinese models claiming to be thermofax copiers, flash stencil makers and thermal copiers selling on the Internet (eBay in particular), with claims of imaging Tattoo Spirit Masters - these machine do not work properly. Sure they all turn on and make a faint imprint, most are simply a facsimile machine re-cased in a metal housing and badged as a thermofax. 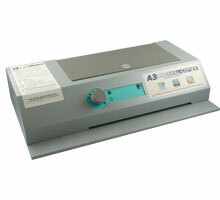 You also need to use a full sheet of paper each time, unlike a genuine Thermal-Copier where cut sheets are accepted. If you wish to purchase NEHOC's machine, please contact us as it's a big paper weight and we would be pleased to sell it at cost. 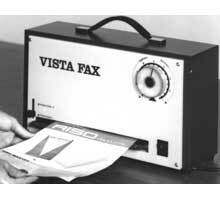 Discontinued in December 2004 when the manufacturing company Memofax closed. 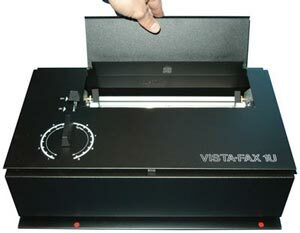 VistaFax was available in 1UF (pictured) and 2UF format. 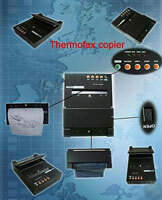 Commonly purchased and re branded under different names such as MemoFax, GBC FordiFax, Fordifax, Memo copy fax, Memo thermo fax and FordiFax - all were commonly 1UF models. Similar operation to the new A4 Thermal-Copier model, however VistaFax machines use a drive cone and many mechanical parts to operation, causing greater repairs when parts break or wear. Spare parts and servicing for VistaFax remain available - view now . . Discontinued in the early 1990's, some 2nd hand models remain available with reconditioned belts and motors. Most models were labeled 3M, however re branding was common and machines were also called GBC Therma Fax, 3M Thermal Copier and 3M FordiFax. Using a belt driven operation to draw the copy into the machine, rollers and belts required common replacement following a jam. Support for these models is no longer available due to the lack of spare parts. Spare parts and servicing for this mode are no longer available. Originally available from NEHOC in both screen printing and tattoo versions. The screen printing version remains available, NEHOC no longer package, support or supply tattoo versions of the product, screen printing only. 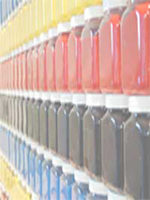 Details on Screen Printing models - click here . .